Supply chain consultant, Logistics Bureau, and the Starlight Children’s Foundation joined forces in March to provide two seriously ill children with a day to remember at the Sydney Cricket Ground. Logistics Bureau donated its corporate box at the SCG to Starlight, which organised a special day out for two cricket-mad kids, through its Kids’ Activity Network program. Click here to view/download article. 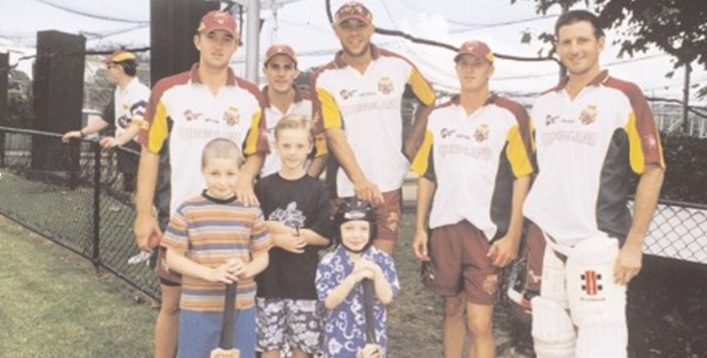 The children, Brendan Thompson and Mitchell Campbell, and their families, met several of the players involved in the Pura Milk Cup tie between the NSW Blues and the Queensland Bulls. The Starlight Foundation’s Chief Executive, Jill Weekes, said the organisation valued donations of this type greatly: “We applaud Logistics Bureau for its generosity and thank the players who took the time to spend a few moments with the children. Starlight’s mission is to brighten the lives of as many seriously ill children and their families as possible, by granting wishes and providing entertainment both in and out of hospitals throughout Australia. In total, more than 200,000 seriously ill Australian children and their families are touched every year by Starlight. Through its Kids’ Activity Network, Starlight offers tickets to events, shows and activities to children and their families.